Mark Mulholland and Craig Ward's music represents their own take on the British folk tradition of Graham, Jansch, Renbourn et al. Friends since their teens, when both were playing in bands in Glasgow and Edinburgh in the late '80s, the two have been travelling and playing music since, crossing paths at various points along the way. Craig produced Mark's band Two Dollar Bash's third album Lost River, and accompanied the band on a 5 week North American tour in 2007. Around this time, the pair started talking of recording an album together, drawing from their mutual influences of the likes of Pentangle and Nick Drake. 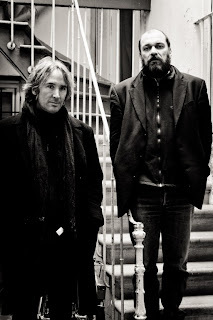 In the course of 2010 and 2011, they met up for a series of recording sessions in Berlin, Antwerp and Rotterdam, and the resulting album Waiting for the Storm, will be released in September 2012 by the Berlin label Cannery Row Records and the London-based Jezus Factory Records, accompanied by a tour of the UK, Ireland and France. The line-up is completed with the addition of Belgian double-bass player Hannes d'Hoine, and the trio completed a successful tour of Belgium, the Netherlands, Germany and the Czech Republic in February and March 2012. Mark Mulholland's musical peregrinations have taken him through most of Europe and North America to Port-au-Prince, Haiti, where he is now based. He has released 2 solo albums, The Devil on the Stairs (2008) and The Cactus and the Dragon (2011), and is also a member of Two Dollar Bash, who recently released their 4th album, New Adventures. Mark is a former member of Impure Thoughts, and The Oul' Bogwarriors, and has recorded with a wide variety of artists including Nikki Sudden and Captain Sensible. He is currently also working on various musical projects in Haiti, including collaborations with the world-renowned poet, dramatist, painter and actor Frankétienne, who also makes a guest appearance on Waiting for the Storm. Craig Ward moved from Scotland to Antwerp after an invitation from Stef Kamil Carlens (dEUS, Zita Swoon) to holiday there. It was a long holiday. 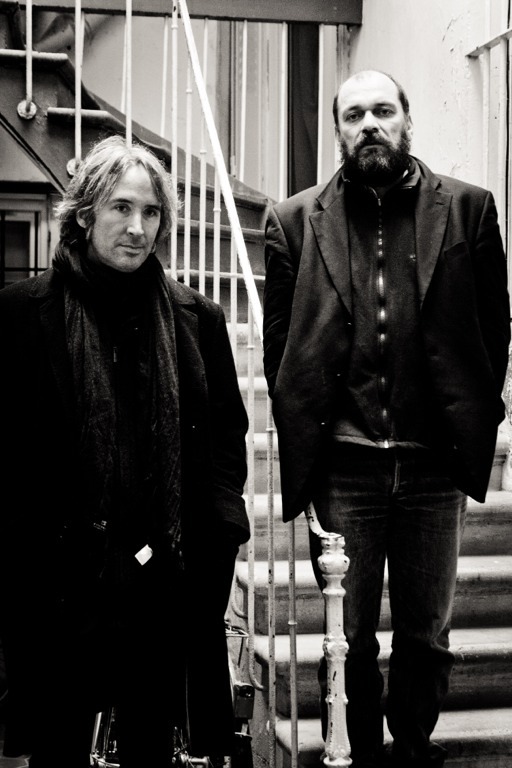 Craig joined Kiss My Jazz and found himself in the hub of a fervent music scene to the extent that Rudy Trouvé suggested him as his replacement in dEUS (In A Bar Under The Sea and The Ideal Crash era albums and tours). After leaving dEUS in 2004 Craig formed the acclaimed band The Love Substitutes with Mauro Pawlowski and Rudy Trouve, releasing two albums, Meet The Love Substitutes While The House Is On Fire (2005) and More Songs About Hangovers And Sailors (2007). In 2008 the 3 released a split solo album as Pawlowski, Trouvé and Ward. Craig is also a member of True Bypass with Chantal Acda (Sleeping Dog, Isbells) whom released an acclaimed album in 2010 via Jezus Factory Records; he also fronts the noise jazz band A Clean Kitchen Is A Happy Kitchen who released their self titled vinyl in 2011 and a split EP earlier this year with Silent Front. His production credits include The Frames' For The Birds alongside Steve Albini. Craig has recently moved back to his native Glasgow. Hannes d'Hoine studied double bass at the Conservatory of Antwerp, and plays in various formations including Die Anarchistische Abendunterhaltung, Roy Aernouts band and Blackie and the Oohoos.